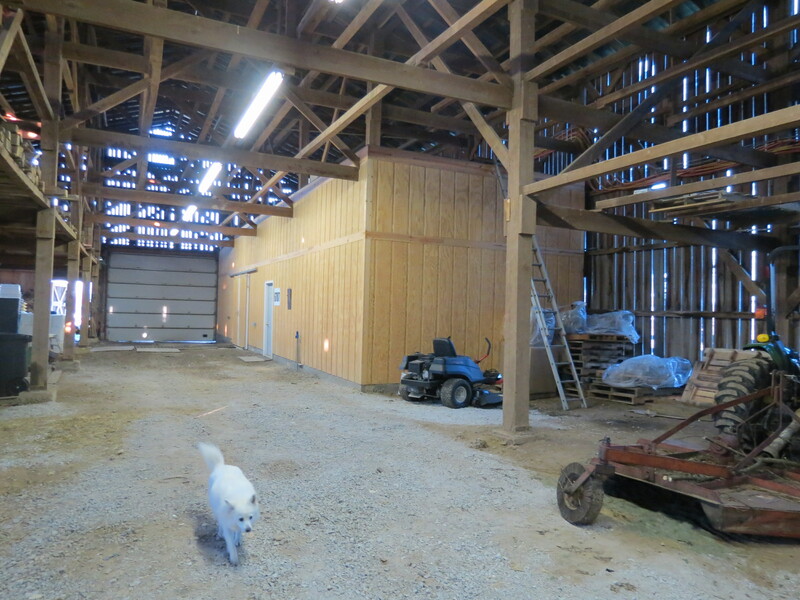 We had the pleasure of visiting this new Kentucky winery on New Year’s Eve. 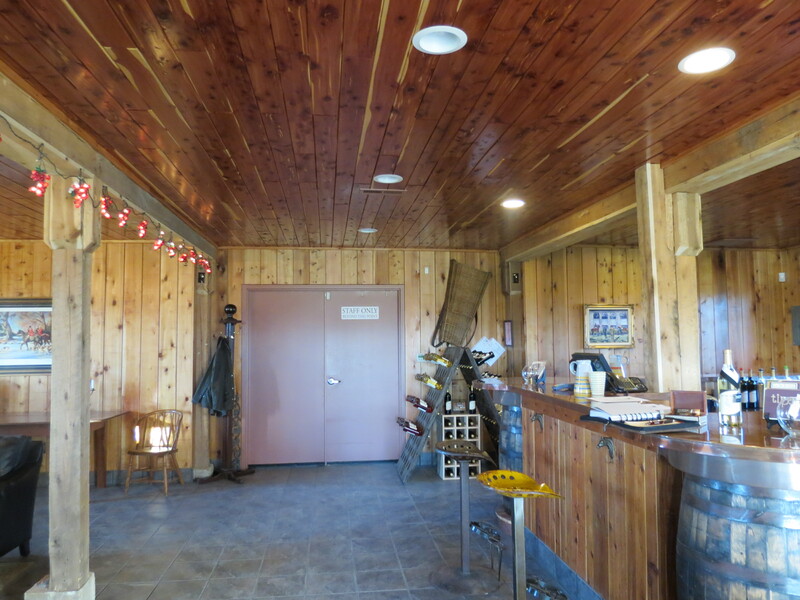 When I first heard about the winery, I had read they would be closed until spring. Happily, that information was wrong. 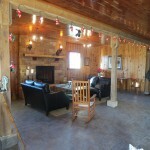 The winery is operating under winter hours, from 1 to 5 on the weekends. I recommend a visit whenever you find the time. 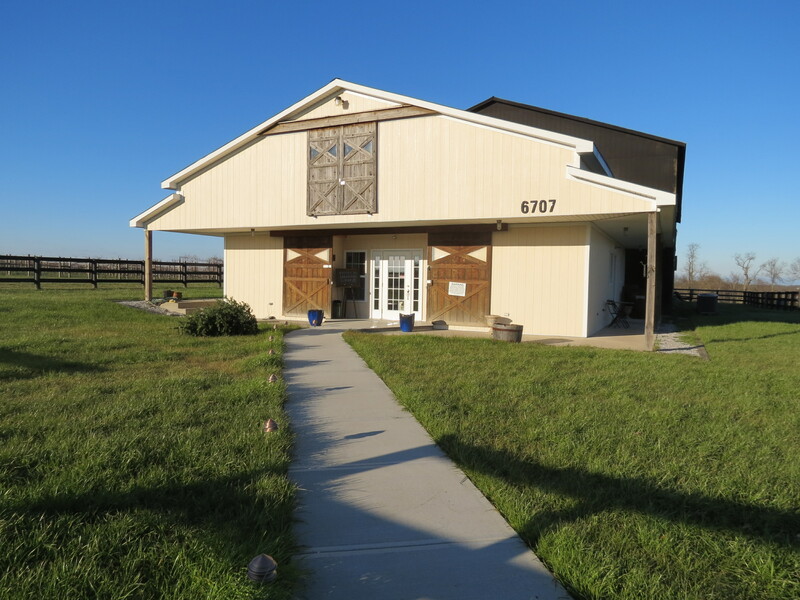 Grimes Mill Winery is located just south of Lexington on Old Richmond Road. 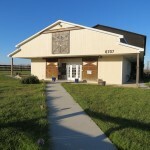 They opened in September and have been serving visitors and hosting groups since then. 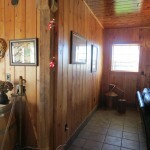 Philip and Lois DeSimone, the owners, previously grew tobacco on their small farm. In 2003, they began raising grapes. Their four-acre vineyard consists of Malbec, Cabernet Sauvignon, Merlot, Pinot Grigio, Petit Manseng, Moscato, and Sauvignon Blanc grapes. Visitors to Kentucky vineyards will note that some of these are unusual to the state. 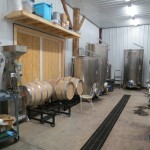 As a new vineyard, they have bought some juice for their wines. Their wine list includes six wines currently. Guests are offered a taste of three wines for six dollars, with a souvenir wine glass. Additional wine tastings can be purchased. I chose to taste the three dry wines. The Pinot Grigio is a dry white wine, with a hint of citrus flavors. The Cabernet Sauvignon is a dry red, deep in color and fruity in flavor. My favorite was the Malbec; it has a strong berry flavor with a hint of chocolate in the finish. Other visitors, while we were there, were also delighted with the sweeter offerings. As their Pinot Grigio grapes will not be ready until 2013, they had to buy the juice. However, both the Cabernet Sauvignon and the Malbec grapes came from their vineyard. Though the winery is relatively new, the wines are superbly made. The explanation might be the Italian heritage of Philip DeSimone (his grandfather made wine in the basement of his Brooklyn home), his profession as an oncologist (many winemakers are physicians), or the time they lived in Italy developing a taste for good wine in the city of Milan. 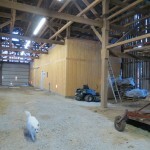 The tasting room and the wine-making facilities are in a renovated barn that once housed tobacco and horses. You might find that hard to believe when you walk through the door. The decor is delightful. 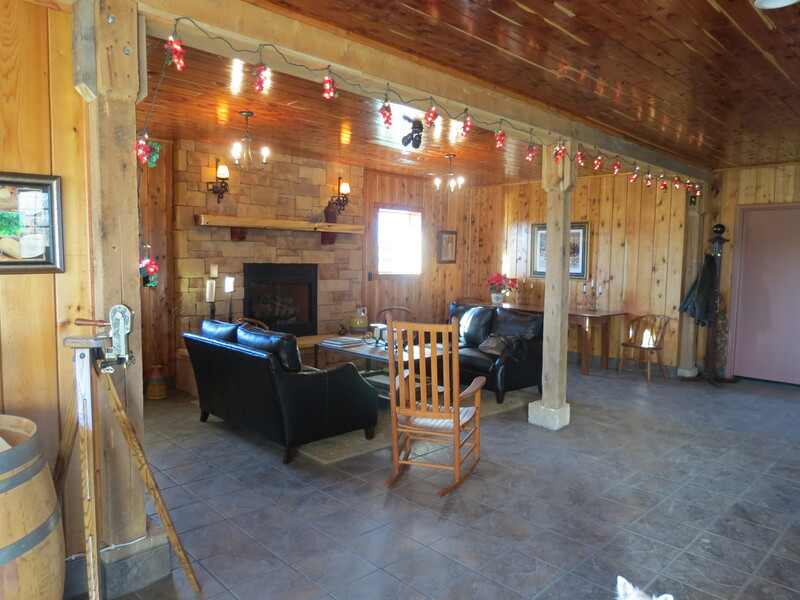 From the inviting wine bar to the sofa by the fireplace, visitors will feel at home and want to stay awhile. I recommending looking up. The ceiling is one of the most beautiful I’ve seen. Philip and Lois were both there greeting guests and making them feel at home. We were given a tour of the winery with an explanation of the winemaking process. 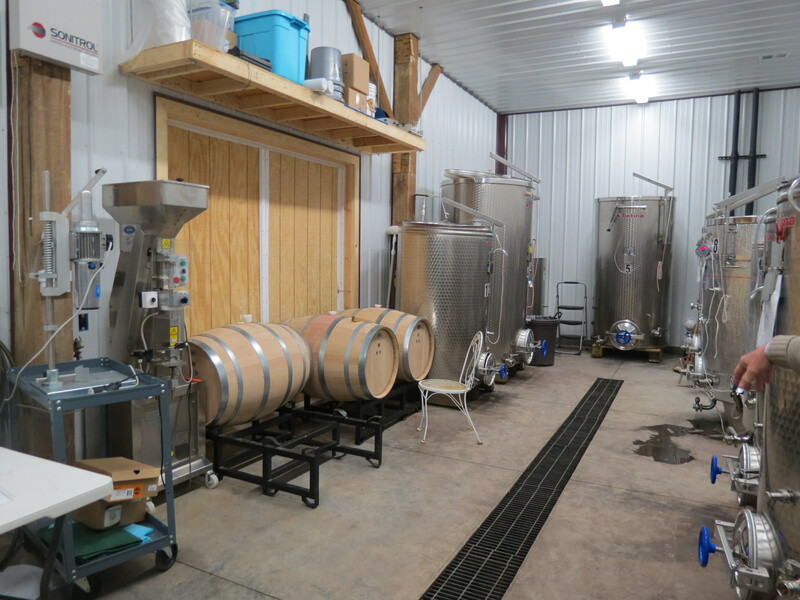 Their winery uses both a French barrel and barrels from the cooperage in East Bernstadt, Kentucky. 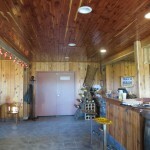 Both owners enjoy the winery and sharing their wines with visitors. 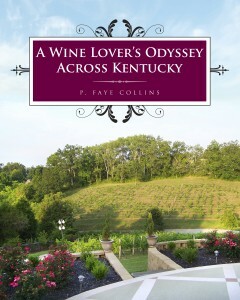 As I have found in my travels to other Kentucky’s wineries, the owners are extremely interesting. Philip, originally from New York, teaches and spends time working at the Markey Cancer Center. Lois, though from Newfoundland, went to school at Berea and really enjoys the opportunity to meet the visitors to the winery. 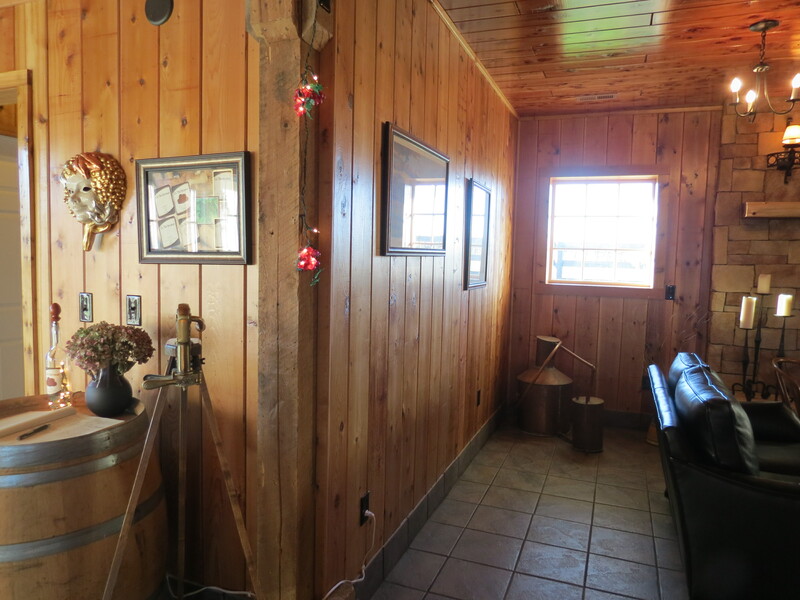 Grimes Mill Winery is an excellent destination for those who want a chance to taste good wine and relax in a rural Fayette County setting. Great article. We love the people, the atmosphere and the wine!